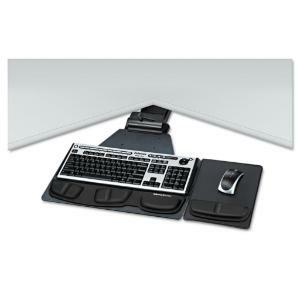 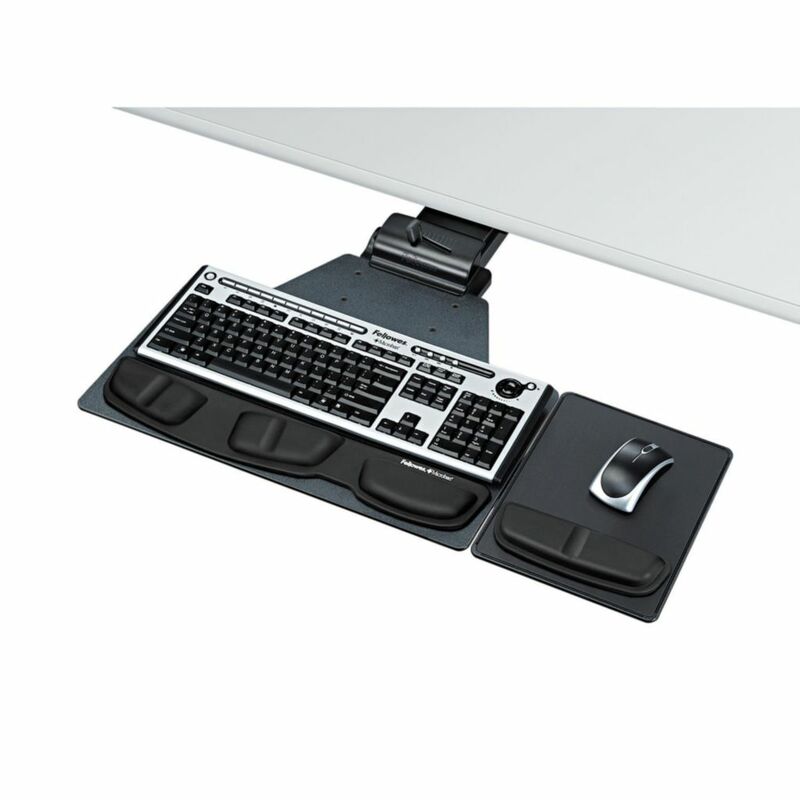 Ergonomic, swiveling and sliding keyboard tray has gel-filled wrist support. 360° swivel, 25" glide track length"
It also has an articulating arm and a swiveling mouse tray. Designed to fit corner, diagonal, curved and straight workstations.